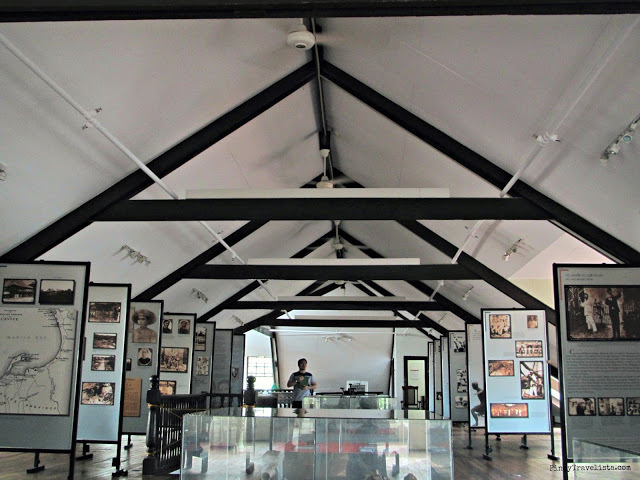 The building that houses the rare, and priceless collections of archaeological and ethnographic artifacts is the oldest standing American structure in the Philippines. The Silliman Hall is located at the southeastern part of Silliman University, and is faces the Rizal Boulevard, and into the sea. 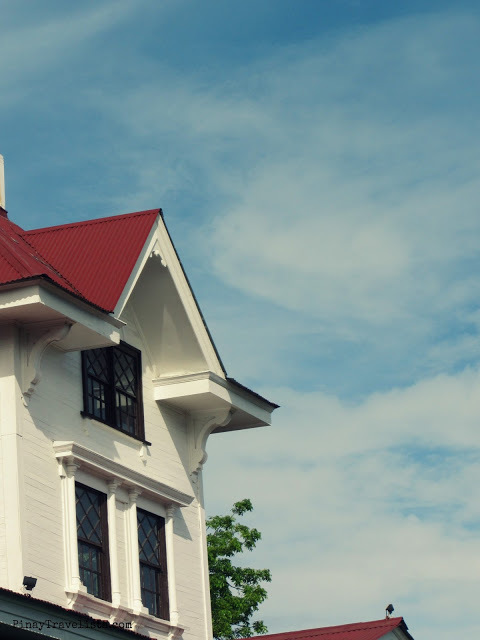 It is of Victorian or Stick type design, and was constructed 2 years after the birth of Silliman University. The Silliman Hall would have stood out if the clouds were shy that day, and shown too much of the blue sky. But no. Them clouds decided to be nice, and broke the direct light from the sun making it fairly nice weather to do a walking tour with. Yet, even in a day full of clouds, the structure of textured solid ground floor walls, white-washed painted walls, grey beams of graceful and delicate curves, and warm red toned rooftops was a stand out. It was too good to pass that we decided to visit it not only for its exteriors but also with what what historical artifacts it holds. The only thing that was stopping us from getting inside the Silliman University Anthropology Museum was that — it was still close. Then out from nowhere, the assigned personnel came, and took out her keys. It was an unspoken decision, we would tour the place ourselves. For 30Php we were allowed to wander off in the museum. Strictly no picture taking is allowed on the ground floor area, and the second floor. But taking pictures is allowed on the balcony at the second floor, and the third floor. There are reasons why you’re not supposed to take photos in a museum — respect that. That’s me, with a pen, a few seconds, in a room of strict photo taking restrictions — it was a room full of jars. 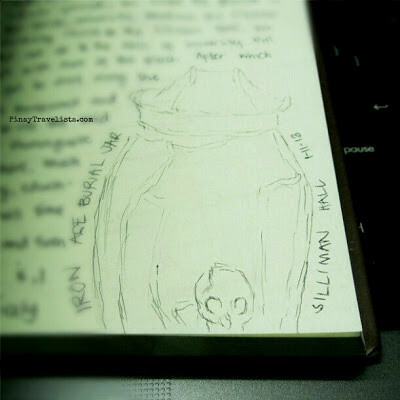 And the Burial Jar, with an actual skull, and bones in it caught my attention. I was hoping to finish those lines off but I left it like so as I hurried out realizing my friends left me inside the room by myself. There was a certain chill in the room. Then again, it could be just the airconditioning. But I was not staying long enough to find out though. The second floor was the strict photo restriction area. It was nice to see coffin logs, talismans, and love potions there. And we were mostly drawn to witchcraft, and the voodoo doll with a pin sticking on it. Or maybe because we were too excited for the Siquijor trip we were planning before ending the trip. When we got to the third floor which probably the alcove of the building, the photo restrictions were lifted, and you could tell how excited we were talking shots after another. The dark wood beams that frames the roof was a good contrast to everything white. You would see panels of history printed to take you down the Philippines history lane. The items you would see here are old paraphernalia of print media, items in the academe, and education. 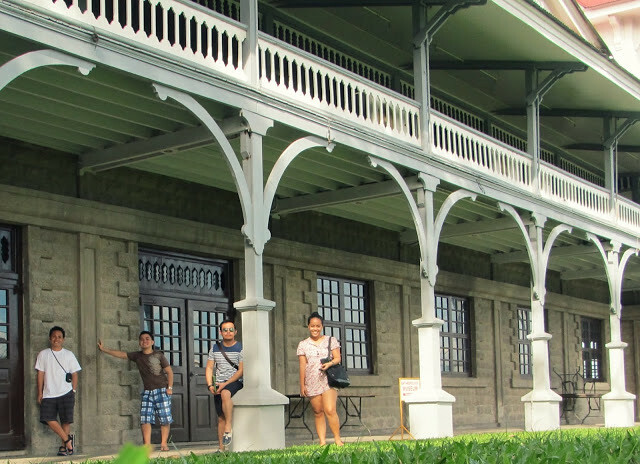 The Silliman Hall & Anthropology Museum would be very educational for the young travelers, and a trip down history for the adults in the group.